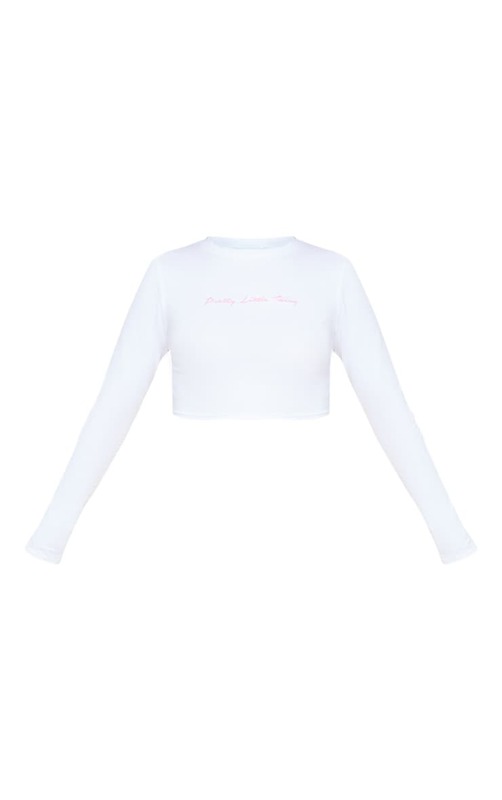 Get maxing out your wardrobe with this must-buy crop top. 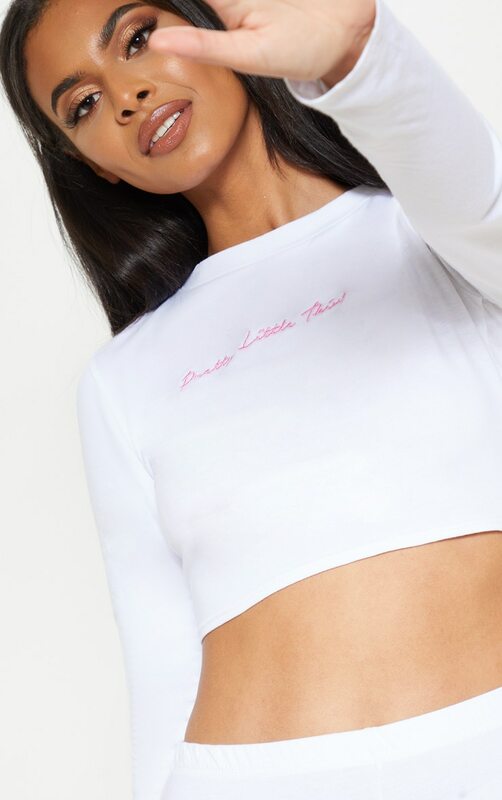 Featuring a white fabric with a 'PrettyLittleThing' slogan embroidered across the front, long sleeves and a cropped length, what's not to love? Style with cycle shorts and fresh white kicks for an off-duty look.